The Best Brother Industrial Sewing Machine In Stock Now At The Best Price. Brother S-1000 A-3 Industrial Sewing Machine With Energy Saving Silent motor. This is your last c.. Brother S-1000 A-3 Industrial Sewing Machine (Head Only) This is your last chance to buy this mac.. Brother S-7100DD-403 Direct Drive Lockstitch Industrial Sewing Machine with auto Foot Lift. Come .. 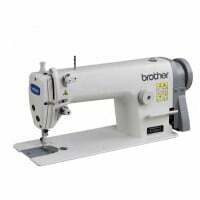 Brother S-7100DD-403 Direct Drive High-Speed Lockstitch Industrial Sewing Machine Come and try be.. 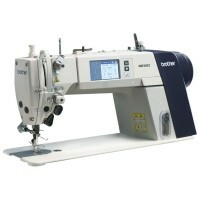 Brother S-7300A "NEXIO" Direct Drive High-Speed Lockstitch Industrial Sewing Machine. C.. Brother sewing machines are of the best quality. Brother has a wide range of sewing machines to suit all your needs. Their machines are not like the cheap replicas that are made in China. 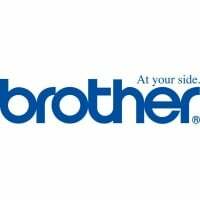 Brother was established in 1908 meaning it has been running for a long time and is a trusted company. If something does end up going wrong, we would be more than happy to make sure that we fix it back to factory stock condition. Brother have machines suitable for all materials, like lightweight and heavy materials, such as leather. Brother invented the first direct drive motor, which saves you money on electricity and is environmentally friendly. Investing in your industrial sewing process might be a tricky time. While it can be costly to replace your current sewing machine, it undoubtedly worth the effort in the long run. You will save your time and money if you invest in an automatic sewing machine that suits your materials. At Konsew we’ve got some of the best Brother industrial sewing machines for you to purchase, try and have delivered to your premises. Trusted across the world as one of the best industrial sewing machines, Brother can offer you a range of features that can’t be compared from the rest of the competition. To help you make your decision over your new industrial sewing machines, you can visit our warehouse in London to try the machine alongside our team. When it comes to upgrading and enhancing the quality of your whole industrial sewing equipment, you’ll need to call upon a professional online store with years of experience. At Konsew we’re chosen by companies across the UK for our ability to provide them with Brother industrial sewing machines for sale. Our range of Brother industrial sewing machines are all ready and waiting for you .You’ll be able to test out the features of our exceptional range and discover the best fit for your company alongside our professional team. 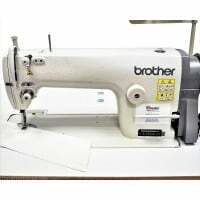 Brother S-7100DD-403 Direct Drive Lockstitch Industrial Sewing Machine with Auto Foot Lift: If you’re searching for an industrial sewing machine in the UK that can offer you everything you need, this is perfect. Trusted for alteration shops, bridal shops, fashion designers and more, it can stand up to a range of materials. Brother S-7300A "NEXIO" Direct Drive High Speed Lockstitch Industrial Sewing Machine: This easy-to-use sewing machine is the perfect balance between productivity and the latest technology. A new era of sewing machine for your precise needs. If you’d like to discover more about our range of Brother industrial sewing machines, get in contact with us today.